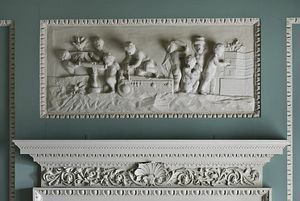 Visitors to the classical Georgian mansion of Saltram House may have a strange sense of deja-vu. 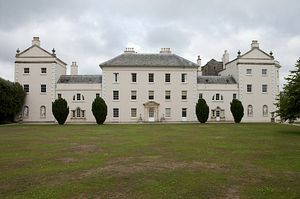 Saltram was used as Norland Park in the opening scenes of the film of "Sense and Sensibility", Jane Austen's classic novel. This grand stately home was built to replace an earlier house and dates back to 1743. It overlooks the Plym Estuary, Plymouth Sound and across to Mount Edgecumbe on the Cornish side of the estuary. The building of the house was commissioned by Sir John Parker. His son Robert later brought in Robert Adam to design the salon and the formal staterooms. This resulted in some of Adam's finest surviving work and his original drawings are on display in the house. have lived at Saltram for almost 300 years and the original contents make this stand out as a fascinating place to experience the age of elegance which Saltram portrays. The family treasures include personal correspondence between Frances, the first Countess, and Jane Austen. The Parkers were always keen horse owners and breeders and in 1828 they laid out a horse-racing track around Chelson Meadow. It is known that Queen Victoria was a keen patron of the race track and arrived at Saltram by boat, in the days before the Plym river estuary at Marsh Mills became so silted up. 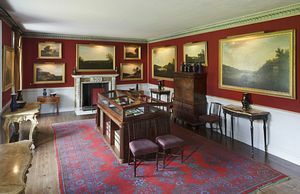 Saltram House offers a taster of everything - fine furniture, china and art including ten portraits by Joshua Reynolds, who originated from nearby Plympton-St-Maurice and was a friend of the family. 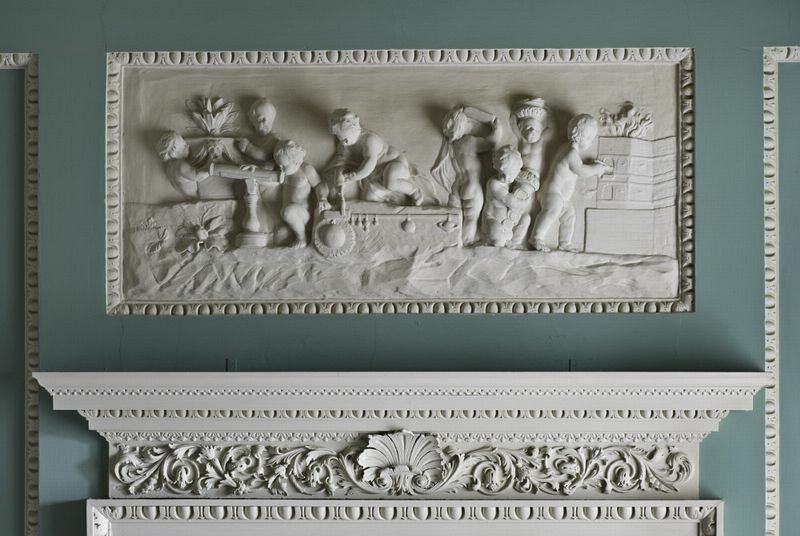 The neo-classical plasterwork in the saloon is attributed to John Rose and is picked out in beautiful eggshell blue and yellow. The Morning Room, with its rococo cherub-painted ceiling, also has huge paintings hung triple-banked as Adam had planned on the red velvet walls. the kitchens are plain, and the 18th century equipment on display is positively primitive. Saltram sits in 500 acres of parkland which has been landscaped with mature trees and a collection of follies. The formal gardens include an orangery which overlooks a fountained garden and the lawns are bordered by camellias, magnolias and rhododendrons. A Ha-ha separates the house from the deer park without spoiling the views. The grounds are popular with locals who enjoy the many circular walks through the woodlands and down to the Plym Estuary. The main path runs along the river at Chelson Meadow, past the 18th century folly and back along the private estate road to the house. The 19th century chapel in the grounds has been restored and is now used as an art gallery with regular art exhibitions and displays of local arts and crafts. Saltram also has an excellent Park Restaurant for visitors, along with a garden and gift shop.